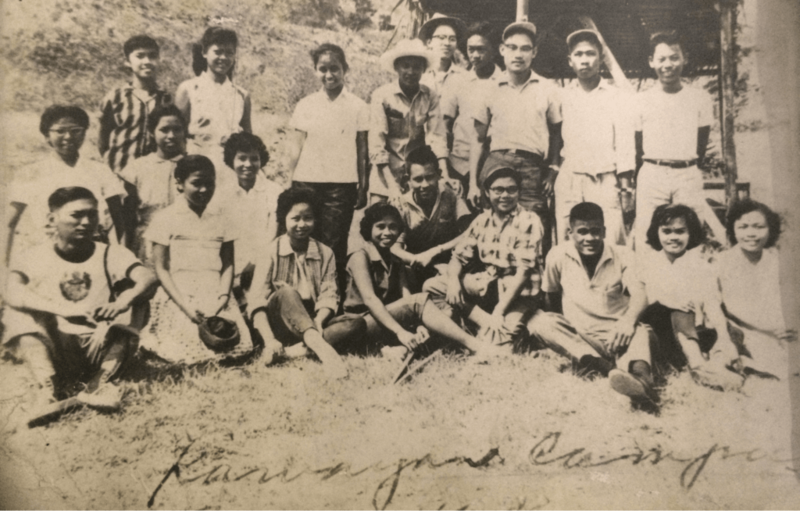 About - Balikatan Ng Mga Kristiano, Inc.
IVCFP Kawayan Camp during the earliest years! 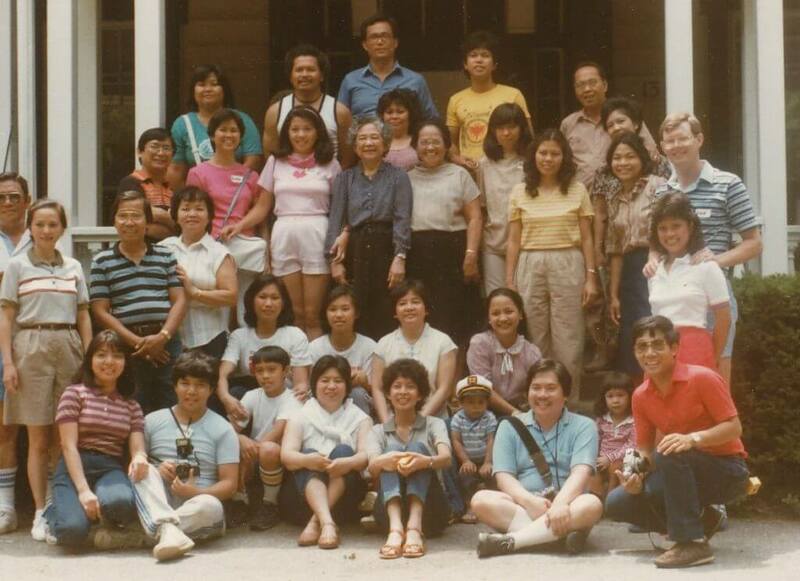 In 1983, a group of Intervarsity Christian Fellowship (IVCF) Philippines alumni in the U.S. was informed that IVCF-Philippines was in financial crisis, and was considering closing its doors. Staff salaries had been chronically delayed, staff appointments were cut, publications were halted, and expansion of the work in various campuses was postponed. 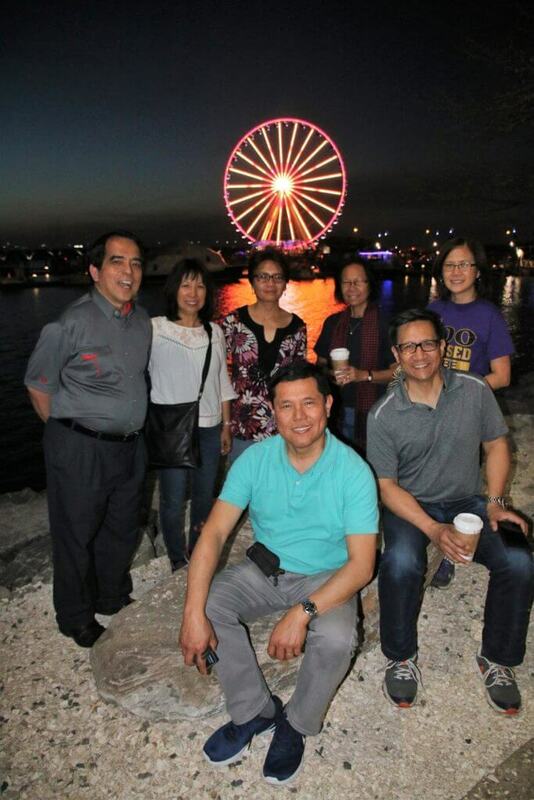 IVCF Philippines alumni all over the United States mobilized and worked in a concerted effort to meet IVCF-Philippines’ financial need. Preliminary meetings were held in Virginia, West Virginia and New York to map out strategies. 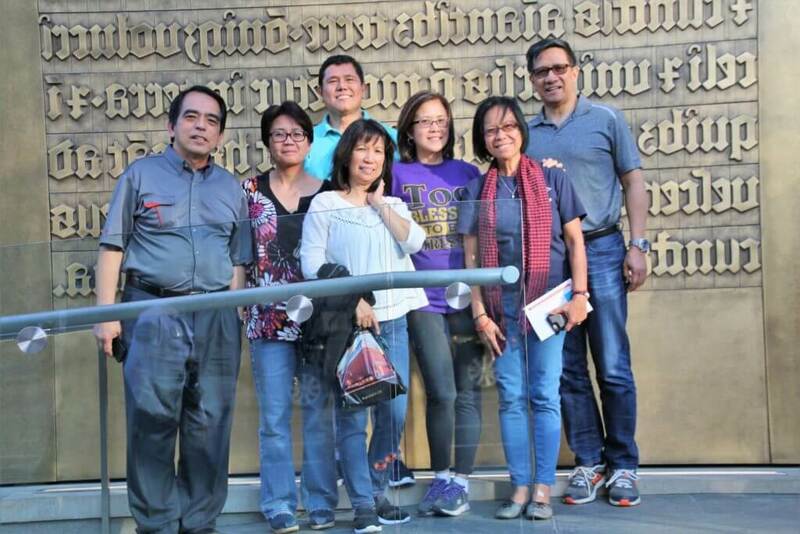 Consequently the leaders of the alumni groups in California (ACTS-IVCF), Illinois (IV-Cares), Virginia, New York and West Virginia agreed to organize the first conference for fellowship and to discuss how to help IVCF-Philippines. On July 4-6, 1984, the annual Balikatan Conference was born! Held in New Jersey, the first was attended by 32 delegates from Illinois, Georgia, California, Virginia, West Virginia, New York and Massachusetts. The fellowship was officially named “Balikatan Ng Mga Kristiano”, and was subsequently incorporated and awarded a tax-deductible status. 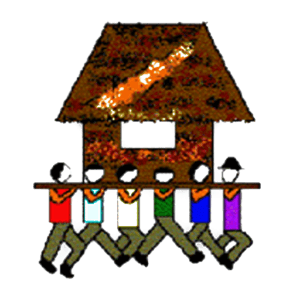 Its official logo is a portrait of the well known Filipino practice of “Bayanihan” wherein people help each other move a house, a crucial possession to a better, safer, more proper situation. This tradition is a poignant visual of the Filipino values of cooperation, support and unity – ideals that comprise Balikatan’s spirit in view of its God-entrusted vision and mandate. The Balikatan Board in front of the Museum of the Bible in Washington, DC. The Balikatan Board of Directors (BOD) comprised of seven (7) elected members also known as ‘Officers’, is entrusted the honored responsibility of managing the property, affairs and businesses of the corporation. They are Christ-centered individuals whose chief desire is to serve God and His people. Specifically in their roles as BOD, they are individually and corporately invested in the fulfillment of Balikatan’s Vision as well as its short and long-term goals. Each BOD members serves a term of two years, and may be re-elected after such term expires. Serves as the principal executive officer of Balikatan. S/he presides over all meetings of the BOD and the Balikatan membership; provides reports and recommendations concerning the work and affairs of the corporation; serves as the primary signatory on behalf of Balikatan on all contracts and documents pertinent to Balikatan business and ministry affairs; stands as the key liaison with IVCF Philippines and its Board of Trustees, and with other partner institutions and agencies; fulfills other duties incidental to the office of the President or as agreed upon by the BOD. Performs the duties of the President in the event of the President’s absence, resignation or inability to act. S/he also serves in other capacities such as chairing a committee(s) or taskforce(s) as assigned by the President or the BOD. Secretary: Acts as the secretary of all BOD and Balikatan Membership meetings – fulfills every function of that role not the least of which is the recording, reviewing, distributing and keeping of pertinent Minutes. S/he stands as the custodian of Balikatan records and its seal of corporation, and serves in other capacities such as chairing a committee(s) or taskforce(s) as assigned by the President or the BOD. Custodian of all Balikatan funds; maintains full and accurate accounts of receipts and disbursements of the corporation; deposits all monies of the corporation and to the credit of the corporation in such banks or depositories as agreed upon by the BOD; receives, secures and provides accurate account of deeds, securities, notes, contracts and other financial reports of the corporation; provides regular comprehensive financial statements to the BOD, and to the Balikatan Membership during annual conferences. S/he shall, if directed by the BOD, cause Balikatan’s financial books to be audited at least once annually by a public accountant who is approved by the BOD. The Treasurer also serves in other capacities such as chairing a committee(s) or taskforce(s) as assigned by the President or the BOD. Stand as representatives of the general membership to the BOD, keen on assessing how the policies and procedures created, approved and enacted by the BOD directly affect the members. They serve Balikatan’s BOD and the membership by sharing expertise, wise counsel, resources and networks in helping to successfully fulfill Balikatan’s objectives. They also can be assigned to chair a committee(s) or taskforce(s) by the President or the BOD. In 2012, the Board of Directors formally re-established the Balikatan Advisory Committee. Comprised of seasoned individuals with distinguished servant-leadership qualifications and ministry-business acumen, the sole task of the committee is to provide invaluable, non-binding advice and assistance on any and all matters pertinent to Balikatan, for the benefit of Balikatan, and at the behest of the Board for the general Balikatan membership. Part of the formalization of the committee is the creation of a defined ‘Advisory Committee Articles of Organization’ establishing the group’s framework, purpose and procedure. Therein are also listed considerations for conflicts of interest by practice and principle. Membership to the committee, which is by official Board invitation only, requires specific strategic credentials foremost of which is formal, active membership with Balikatan. IVCF Philippines alumni, Balikatan Friends and Junior Balikatan can be requested by the Board to serve in the Balikatan Advisory Committee. Coordinate any and all Balikatan mission programs and projects approved by the Balikatan Board of Directors e.g., Balikatan Youth Exposure short-term missions with IVCF-Philippines, and Medical and Dental Mission in the Philippines (and worldwide). Spearhead the Alumni-In-Ministry (AIM) initiatives and outreach of Balikatan, inclusive of all endeavors that would result to effective AIM promotion and support. Maintain a record of IV Alumni currently in missions and ministry in North America and worldwide; publish an up-to-date and accurate AIM Directory in conjunction with the Membership Committee’s Balikatan Annual Directory. Update the Balikatan Board of Directors and membership of activities, concerns and needs of alumni missionaries via local chapter correspondence. In conjunction with the Fund Development Committee, help secure opportunities of promoting and funding Balikatan Missions initiatives in local churches and other venues as appropriate. Spearhead effective, innovative and dynamic communication linkages within Balikatan – and from Balikatan to IVCF Philippines and its alumni worldwide, and from Balikatan to the general public. Support the Alumni Liaison & Communications Specialist (ALCS) in fulfilling his/her role as Balikatan’s front person to IVCF Philippines alumni in the US and Canada. Develop, capitalize and optimize the use of all social media tools to successfully promote Balikatan and its vision. Promote and encourage reading of Christian literature among all constituencies, and gather reviews to be featured in the Balikatan newsletters. From Balikatan fellowship Groups and individual members, and in conjunction with the Prayer Committee, secure and organize news, encouragements, prayer and praise items to be shared via the above stated media. Develop and enhance the “Balikatan.org” site ensuring it laudably serves as the official source of information about Balikatan, Inc. Facilitate expeditious exchange of communication when coursed through the Balikatan website. Constantly facilitate ways to improve website contents, and increase the number of visitors to the site. Spearhead Balikatan’s endeavor to periodically review the accuracy and appropriateness of the Bylaws using Scriptural Truths and Balikatan’s official Vision Statement as guides. Evaluate the applicability and responsiveness of the constitution and bylaws to Balikatan’s evolution as an organization and a ministry. Accept amendment proposals from the Board of Directors and the membership, facilitate official discussions of the same, and their incorporation into the document upon approval. Submit a copy of the most recent amended Balikatan Bylaws to the New York’s Department of State Division of Corporations, in compliance with its regulations on non-profit organizations founded in the State of New York (http://www.dos.ny.gov/corps/dom_nfpfile.html#). Ensure that the most current Balikatan constitution and bylaws is easily accessible for the Balikatan constituency. Help ensure the strength and sustainability of Balikatan’s operating and special project funds in conjunction with its programs and projects. Assist the Balikatan Treasurer in reviewing and preparing annual budgets, which are to be submitted to the board for review and endorsement to the Balikatan Body during the annual conference. Only with the Body’s majority approval will an annual budget be officially adopted. Support the Treasurer with the actual budget presentation to the body. Assist the Balikatan Treasurer with the monthly financial statements, bank reconciliations and periodic audits (internal). Recommend to the Treasurer and the Board firms/persons for external audit as necessary. Periodically review – and upgrade – Balikatan Financial policies and procedures, including remittance procedures and tools, ensuring they are cost-effective, sensible and are serving the organization’s best interest. Protect and preserve the non-profit status of Balikatan by helping to ensure its compliance with the financial reporting requirements of the US Internal Revenue Service (IRS) and with US federal laws pertinent to US-based charitable institutions. 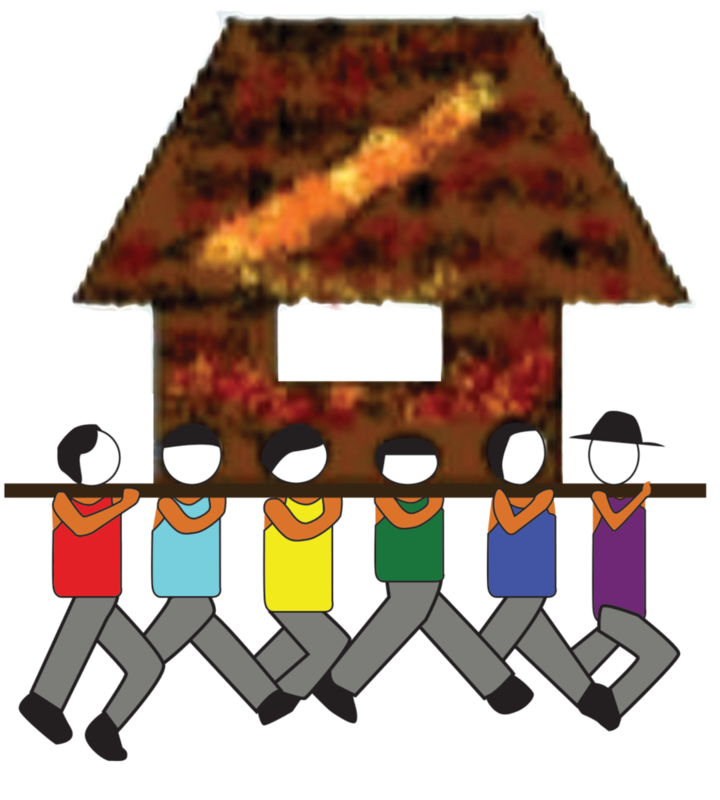 Responsible for short and long-term Balikatan fundraising initiatives and activities. Responsible for initiating and coordinating the fund-raising for the 13th month pay of IVCF-Philippines’ workers and support staff. Responsible for updates and coordination of Balikatan financial commitments for IVCF-Philippines’ short-term special projects. Evaluate or determine how to ensure that the financial base for the ministry of IVCF-Philippines is established on a sounder footing, and made sustainable over the short and long terms. Cultivate and nurture new donors and friends for both Balikatan and IVCF Philippines; develop more meaningful relationships with existing donors. Facilitate creative modes of fund generation, e.g., concerts, caroling, tapping Christian businesses and affiliates, sponsorships and promoting IVCF-Philippines among local churches. In charge of all the details of auctions in the annual conferences – both the pre and post event. Recruit new members for Balikatan, inclusive of Intervarsity Christian Fellowship (IVCF) Philippines alumni in North America, Balikatan Friends (non-IVCF alumni) and Junior Balikatan. Encourage old members to renew membership and involvement. Promote all of the Balikatan Committees, and encourage new and renewing members to sign up and get actively involved in any of them based on interests, skills, gifts, resources and expertise. Provide up-to-date application forms for membership both on the website and as hard copies by mail or hand delivered. Maintain communication with entire membership body via e-mail, phone calls or regular mail. Coordinate with the Balikatan Board Secretary and Treasurer, and the Communications and Website Committee, in preparing and producing the official annual Balikatan Membership Directory. Encourage giving and praying among members for IVCF Philippines support. Encourage Balikatan Fellowship Groups to nominate a representative to the Balikatan Board of Directors, which will be elected at each conference. Prayerfully and skillfully approach individual Balikatan members who are qualified for Board Membership to consider becoming one. Prepare an official list of the nominees before each conference. Responsible for facilitating the nomination and election process at the conference. In charge of the production, distribution, counting, tallying and securing of Balikatan official ballots. Collect and compile prayer requests from each Balikatan Fellowship Group, individual members and IVCF Philippines, and in coordination with the AIM Committee, those of the AIM for publication and dissemination. Prepare prayer calendar monthly or quarterly. Coordinate prayer concerts in each local chapters. Promote prayerful life among the members via prayer partnerships, prayer hotlines and prayer marathons. Encourage awareness of the power of prayer by publishing answers to prayer requests previously mentioned. Evaluate how Balikatan relates with IVCF-Philippines, and the affiliated IV local groups in North America at the state and provincial level, in terms of expectations and responsibilities. Evaluate forging and updating the Memorandum of Understanding (MOU) delineating expectations and responsibilities with IVCF Philippines and the IV local groups in North America. Evaluate or prepare ‘Letter of Intent’ to enable formal Balikatan representation in IVCF Board of Trustees. Evaluate how the Balikatan North America organization can be rationalized, organized and reconfigured institutionally so that it becomes a more effective responder to the expectations of its stakeholders, namely its members, affiliated IV local groups at the state and provincial level as well as IVCF Philippines. Evaluate or determine strategic ways of broadening the membership base of Balikatan to encompass all existing local groups of IV alumni, friends and supporters in North America. Develop a realistic plan that will effectively, proactively mobilize all IV alumni, friends and supporters at the US state level (covering all 50 US states, District of Columbia and eventually the US 5 territories), and Canada’s provincial level (including all 10 provinces and 3 territories). Responsible for any and all special projects Balikatan elects to undertake. Responsible for encouraging, promoting, coordinating and informing the membership body of any special programs or activities in Balikatan. serve as a liaison with the hosting group regarding progress of preparations, brochures and promotional materials to be distributed, speakers invited to the conference, program and schedule – and then report to the Balikatan Board of Directors accordingly. Represent the Board to the hosting committee for any needs, assistance or provisions they require from the Board, consequently communicate such back to the Board. Communicate suggestions, concerns and or feedback from the Balikatan Board of Directors to the hosting committee. Responsible for the distribution and gathering of the conference evaluations/survey and submitting a report to be published in the Balikatan newsletter. Coordinate the flight and visit itineraries of the IVCF Philippines National Director or representative, and/or IVCF Alumni from the Philippines or other countries as s/he participates in the annual conference, and afterwards calls on Balikatan Fellowship Groups and constituencies. With the full awareness and approval of the Balikatan Board of Directors, secure and invest the trust fund from IVCF Philippines account to a US (or Canadian) account, and into a healthy, robust diverse portfolio that can ensure a strong, positive outcome in the long term. Promote expansion of investors to the trust fund to ensure sustainability of the IVCF movement in the Philippines. Heighten awareness of each local chapter and the membership body of the purpose of the trust fund. Keep the Balikatan Board apprised of the status of the trust fund by providing regular reports, as well as offering well-researched, reliable recommendations on trust fund investment movements that will produce maximum returns with conservative risks. Prepare annual financial report of performance and returns for the donors and the membership.